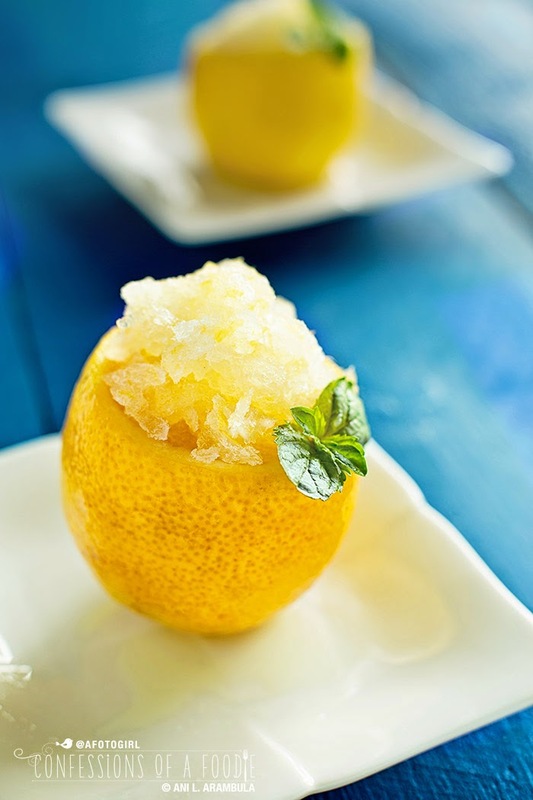 Enjoy the rest of Meyer Lemon season with this easy recipe for refreshing granita. Sub in regular lemons or your favorite citrus the rest of the year. A new market has opened up in my neighborhood. Everyone here in South Park has been anxiously awaiting the arrival of Stehly Farms to our little eclectic neighborhood. I stopped by there this week to check it out. It's a really cute, tiny space – about 800 square feet. Space constraints aside, it's filled with the most gorgeous organic produce from Stehly Farms Organics as well as a few other local farms. They also carry organic chicken and farm fresh eggs. 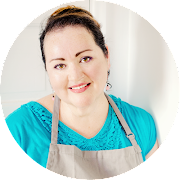 Capping the back of the narrow, galley-style shop is a juice and smoothie bar, its sweet fruity scent tickling your nose and arousing curiosity the moment you open the front door. I hadn't planned on buying anything but the smell pulled me ever closer to the bar and I stepped up and before I realized what I was doing, I had ordered Smoothie No. 3, a blend of raspberries, banana, honey and vanilla yogurt. I perused the produce while I waited for my smoothie. So many beautiful colors of carrots, lettuces and greens to choose from. I even found fava beans and romanesco and made a mental note to return over the weekend to purchase some to try. I turned my attention to the fruit selection and found varieties of tangerines I had never heard of while juicy blood oranges teased me with their vibrant color reminding me of my successful blood orange bars of earlier this year. Then I noticed a beautiful selection of Meyer lemons and thought, ahhhh … granita. We're in the homestretch of Meyer lemon season folks. With Easter just a few days away, this is an easy way to add Meyer lemons to your Easter meal plan. It's an excellent palate cleanser between courses or a nice, light way to finish off the meal. I fell in love with granita when I made it last year to shoot our granita food cover for the newspaper. And this season, I plan on experimenting with a variety of flavors. For now, I'm giving my attention to this Meyer Lemon Granita. Mmmm. Pucker up, buttercup. So, what is a granita? 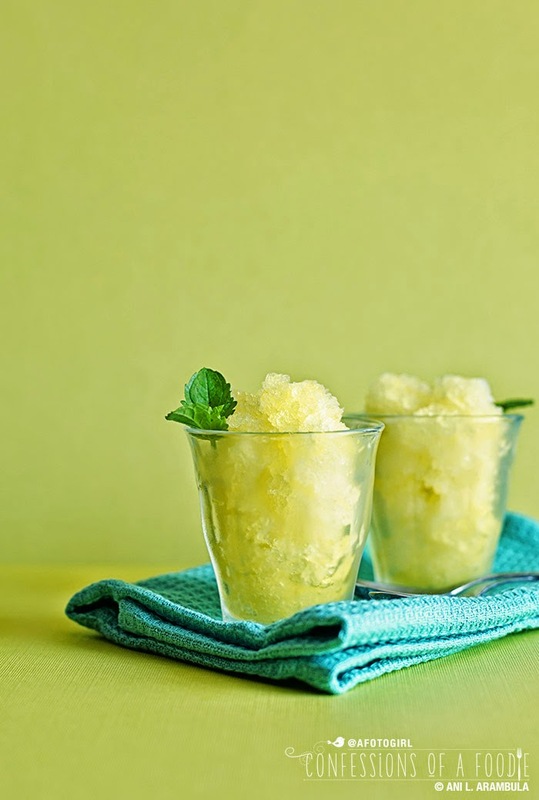 Granitas are an icy, semi-frozen dessert often associated with Sicily. Made from sugar water and various flavorings, it's related to a sorbet but, unlike sorbets, no ice cream maker is necessary for most recipes. The key to a lighter than snow texture is all in the freezing method. I won't lie to you, although this is a super simple recipe, it does require some babysitting. You can't just put it in the freezer and forget about it. Doing so means you'll end up with a big block of sweet flavored ice. If that's what you're in the mood for, just make popsicles with this recipe. Of course, I suggest going the granita route. Although some recipes suggest using a plastic container when making granita, I found metal to be the most successful (I used a square cake pan and a 9 inch pie pan). After making the flavored syrup and allowing it to cool, I placed it in the metal pan and froze it undisturbed for the first two hours. Then I ran a fork through it to break up the still forming crystals, returning the now slushy syrup to the freezer. After that, I repeated the fork scraping every 30 minutes for the next 6 hours alternating the direction of the scraping to ensure a light, fluffy consistency. You are more than welcome to stop the scraping process after 4 hours but I found going the entire 6 hours produces the most delicate and yummiest of granitas. The 6 hour version is much finer and lighter than any icy treat I have ever had before. What you're doing with the constant scraping during freezing is preventing large ice crystals from forming (which, left undisturbed, will ultimately form one large chunk of ice). The more you scrape, the finer the crystals will be. The neat thing about this is that at the end of the scraping process, the crystals will stay separate and not reform into a big chunk of ice in the freezer (so long as the temperature doesn't fluctuate). So once you're finished with the scraping, you can transfer your granita to an airtight container more suitable for storage in your freezer and it will stay light and fluffy for several months (if it lasts that long!). Once you have the basic technique down, you can experiment with so many different flavor combinations. The possibilities are only limited by your imagination. So get going. Make some granita. Let me know how it goes. then juice the lemons to get about from 1 ½ to 1 ¾ cups of juice. Set juice aside. and bring to a simmer until sugar dissolves. 3. Stir in the lemon juice and remove from heat. Allow to cool completely. large enough to keep the syrup at a height of no more than 1 inch deep. 5. Place the pan in the freezer and allow to freeze undisturbed for 2 hours. breaking up ice crystals and creating a slush. Return to freezer. 7. Repeat the scraping process every 30 minutes for 4-6 hours. 8. Optional: In the meantime, cut the tops off of the 6 whole lemons. at the bottom of the lemons. Reserve the removed flesh for later use. then place the hollowed out lemons in the freezer. 10. 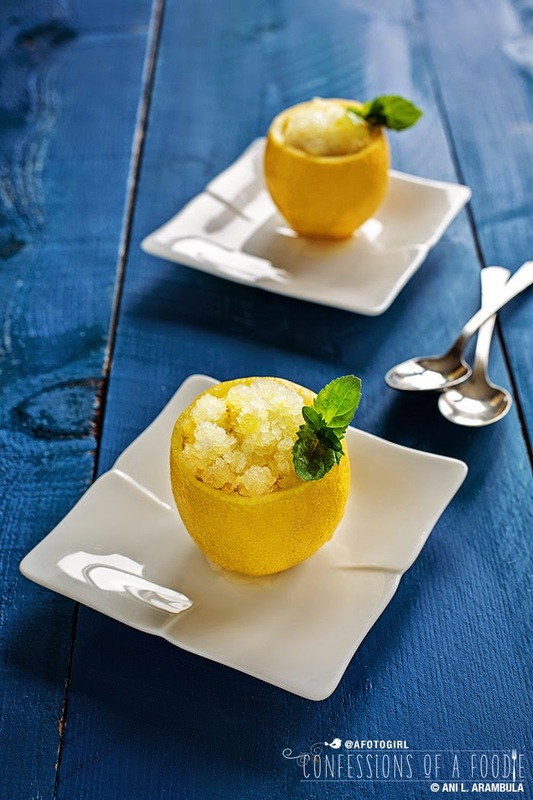 When ready to serve, fill the frozen lemons with granita. and simply serve in small chilled glass dessert dishes. So how was my smoothie from Stehly Market? Well, there's gonna be a bit of a learning curve for the poor new juice person. I picked up my smoothie and looked it over inquisitively. Hmm. Orangey / yellowy not red and berry-like. Kinda runny for a smoothie. Tasted it. Hmmm. Kiwi. Ick. I took it to the counter and asked, do you not use ice for smoothies here? Why, yes, yes we do. For the smoothies. Hmm, I said. I ordered Smoothie No. 3. Yes, yes, that's smoothie No. 3. No, I said, this is orangey and not even cold. Oh, sorry. Let me try again. And this time I watch. She dumps what I gave her BACK INTO THE BLENDER, looks over a flip book which I assume is filled with the recipes for their offerings, then proceeds to add apples to the the blender. Nooooo. There are no apples in Smoothie No. 3, I say. Well, my recipe book says there are. Yes, but the menu says there aren't. Finally, manager number 1 goes over to see what's going on. You're making Juice No. 3, she says. You flipped to the wrong page. I finally got a large Smoothie No. 3 when I ordered and paid for a small. So I guess that's something. I'll give the juice bar a try again once they've practiced on a few other neighbors. SO pretty! I love that you serve them in the lemon shell, too.